by Megzus • on Life, Nature • October 8th• has no comments yet! The world’s tiger population is declining fast despite efforts to save them, and new strategies are urgently needed to keep the species from dying out, international wildlife experts said on Tuesday at a 13-nation Tiger conference held in Kathmandu. An estimated 3,500 to 4,000 tigers now roam the world’s forests, down from the more than 100,000 estimated at the beginning of the 20th century. All the remaining tigers are in Asia. . Participants at the conference, including the World Bank, the World Wildlife Fund and other groups, discussed strategies for tiger conservation, as well as challenges such as poaching, the trade of tiger parts and conflicts between tigers and local populations. “We are assembled here to save tigers that are on the verge of extinction,” Nepal’s secretary of forest and soil conservation, Yuvaraj Bhusal, told a conference of tiger experts from 20 countries, including 13 of the 14 nations where wild tigers are still found. According to Mr. Bhusal, participants hope to make high-level policy makers in their countries more aware of the animal’s possible extinction. The 14 countries where wild tigers are still found include Bangladesh, Bhutan, Cambodia, China, India, Indonesia, Laos, Burma, Nepal, Bhutan, Russia, North Korea, Thailand and Vietnam. Tigers are already believed to be extinct or near extinction in Malaysia, Laos and Cambodia and are highly endangered in Northeast Asia with possibly unsustainable populations. 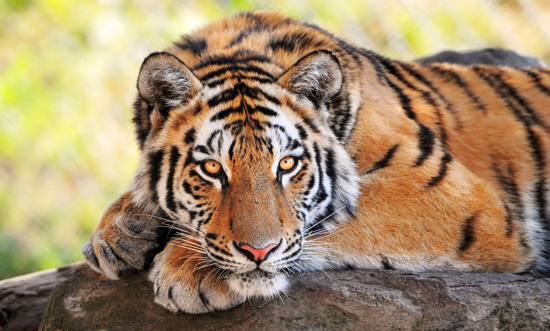 The South China Tiger has not been seen for several years and is also thought to be extinct. China has a specific role to play as tiger parts are routinely poached by Chinese gangs across Asia seeking them for traditional Chinese medicine cures and as aphrodisiacs.